Fun for all skill levels! 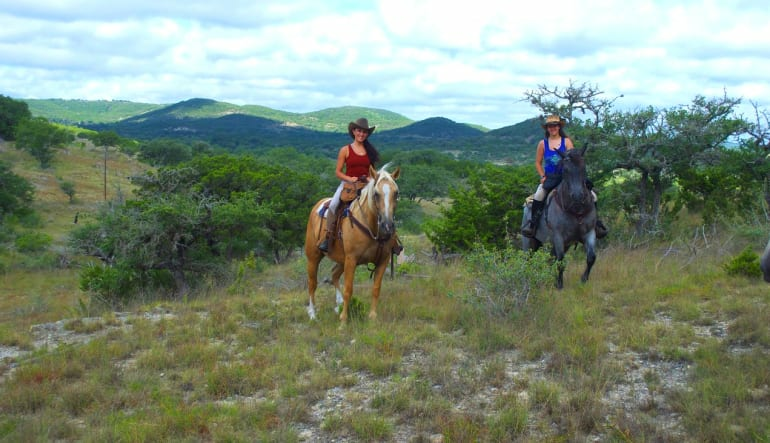 Just outside San Antonio you get to experience a western horseback riding experience in Texas Hill Country. Away from the big city and its stressors, you will enjoy a 2 hour horseback riding experience. All rides include flat land to hills, water crossings and even challenging rides for the experienced rider. Your professional riding instructor takes pride in his well-kept horses. 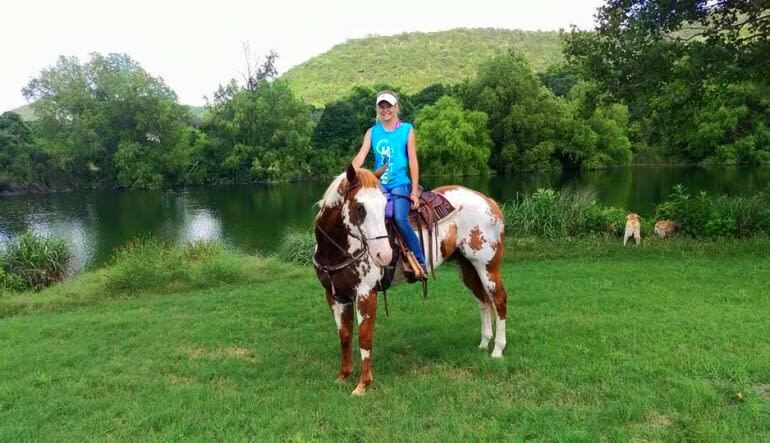 This trail ride promises beautiful horses and beautiful scenery. This isn’t your average trail ride. 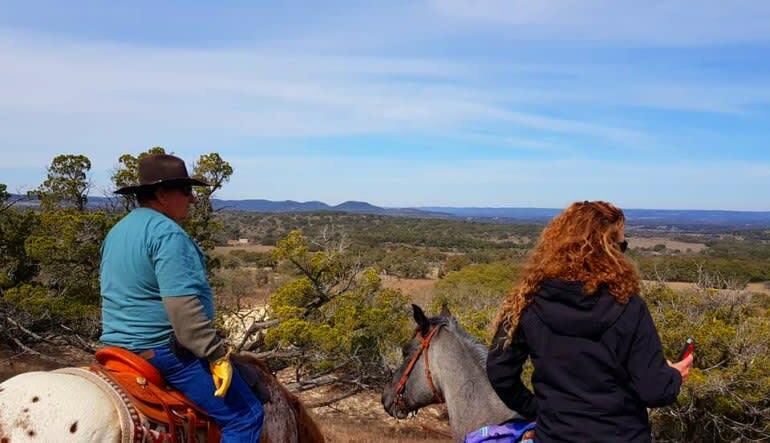 The trail rides are on a 5,000 acre working ranch that is home to a herd of cattle and teeming in wildlife. 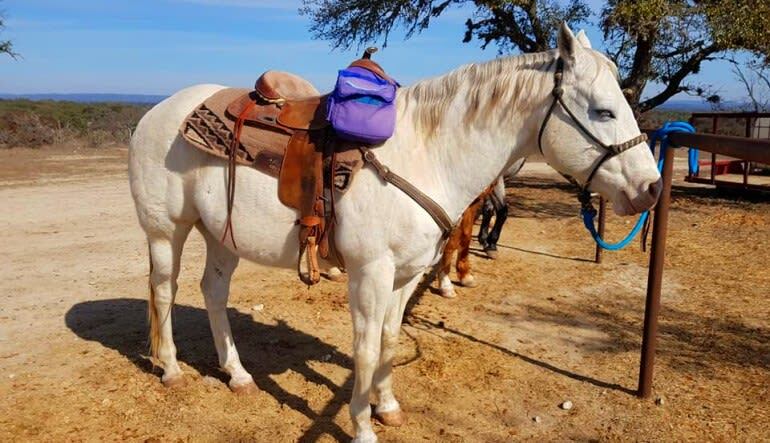 Along your trail ride you might see wildlife including deer, wild turkey, rabbits, squirrels, armadillos, herons and more. 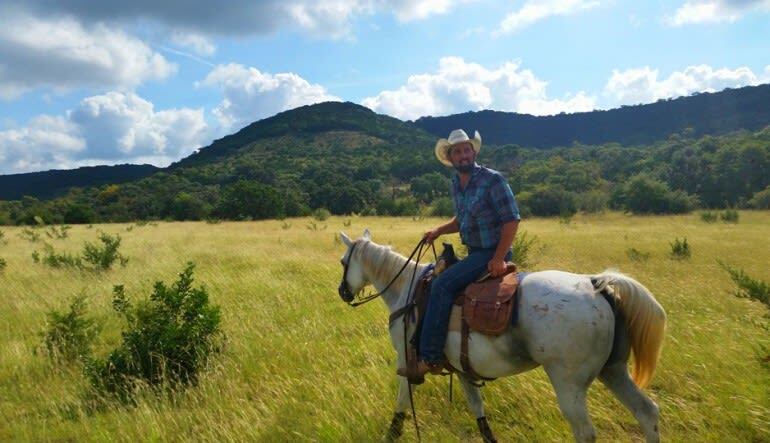 Book your Texas Hill Country riding experience today! The guide was fantastic and knowledgeable, made our trip wonderful. My mom bought this for me for a memorable christmas present. It was much farther from san antonio than we imagined so the whole family stayed while she rode. But the countryside was beautiful, they people friendly, the horses healthy and fun. ron and celine were excellent. i will be back soon. The trail ride was amazing...it was EXACTLY what I was hoping for. Our trial guide Amber was so impressive and knowledgable. The scenery was gorgeous, the horses were healthy and beautiful and extremely comfortable to ride. I loved every minute. My husband and I greatly enjoyed this adventure. 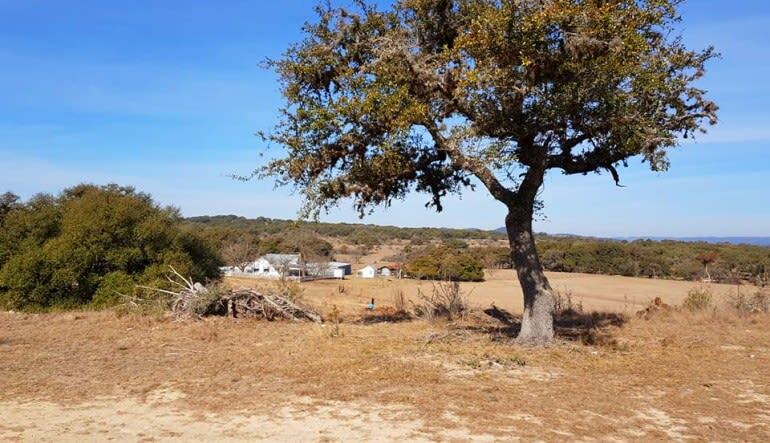 In order to access the ranch, you definitely want to follow the written directions provided. Our trail ride was all that I hoped for and provided a great range of scenery. The staff was even helpful and provided suggestions for lunch locations in the surrounding areas. Tours are available Monday - Saturday, year round 9am to 5pm.